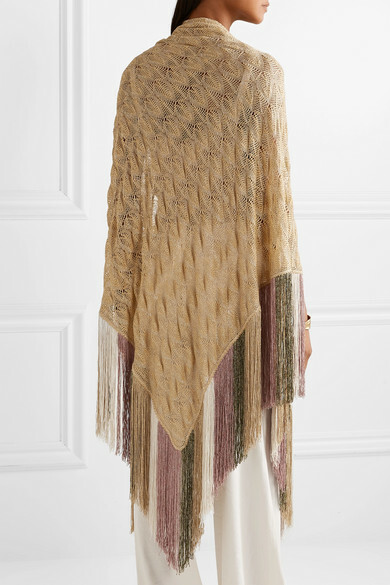 Just like a chunky necklace or pair of statement earrings, Missoni's wrap will make the simplest of outfits feel extra-special. 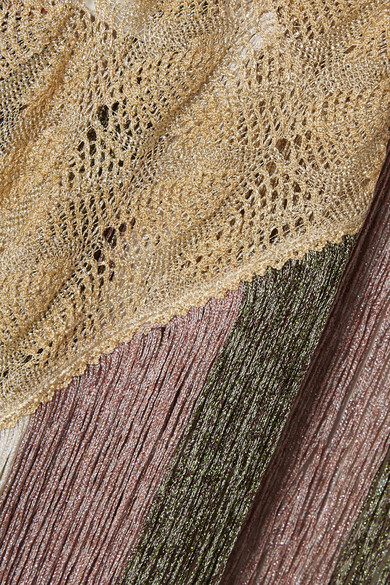 It's been crochet-knit in Italy from shimmering gold Lurex and trimmed with slinky fringing. 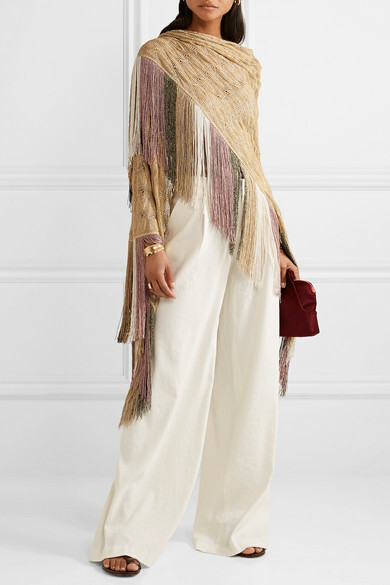 Shown here with: Mara Hoffman Top, Jacquemus Jeans, The Row Clutch, Gianvito Rossi Slides, Isabel Marant Earrings, 1064 Studio Cuff, Jennifer Fisher Ring, Mounser Bracelet.